Well it’s TopTen Friday again and I thought we could talk about something besides politics. After the bruising budget battle being played out in the media and my on-going verbal sparring on progressive blogs it’s time to change the subject. Interestingly enough, the first thing that popped into my mind was “condoms”. I’ll leave the word association theories (progressives=condoms) to all of you amateur psychologists but suffice it to say that my research led to some eye opening facts. 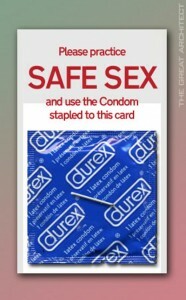 So, my thought was let’s take a look at the top rated condom brands and see if we could connect them with men who might wear them These are my opinions only but you can certainly feel free to add your own selections. “Multiply your chances but don’t chance multiplying – use a cumdum”. I think this is a Polish thing! The world famous Beyond Seven condoms with a studded exterior! Does it get any better than this? Row after row (45 to be exact) of textured dots. 1350 in all, we know, we counted them. A favorite of Silvio Berlusconi’s and a big hit at the Bunga Bunga parties. The Trojan Her Pleasure was designed with the woman in mind. The long bulb shaped head and raised treads on the shaft are a perfect combination. Now you know why Bill Clinton was such a “hit” with the ladies. 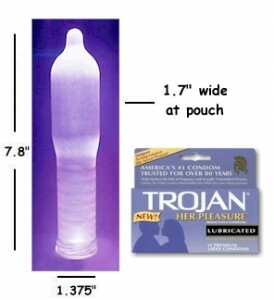 Some condoms are strong but not thin. Others are thin but not strong. 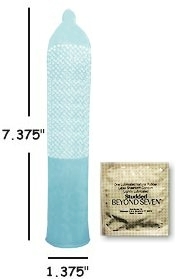 Finally, one condom line goes beyond to provide men and women with both – the BEYOND Seven® series from Okamoto. Congressman Paul Ryan–a budget for all! 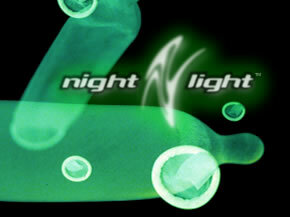 The Night Light, the first and only glow-in-the-dark condom approved for the prevention of pregnancy and disease. Men just love them for obvious reasons, and women find it easier to ask their partner to wear a condom when it’s a Night Light. Julian Assange –he likes to work in the dark. No Wikileaks here! Bravo! Our Large Wicked Thins will give you more room for your zone. We use a vanilla masking scent in our premium lubricants, and each “Wallet” contains a free sticker, an info booklet, 3 premium condoms, and our Bravo Stash Baggie. Michael Moore…there’s a documentary here somewhere. Bravo Michael! Bravo! These Trustex condoms come in 7 awesome flavors and scents like Banana, Vanilla, Strawberry, Cola, Chocolate, Mint and Grape. The inviting flavors and scents are much better than latex. I don’t know…maybe for the most trusted man in Congress. Harry Reid! King Kong. 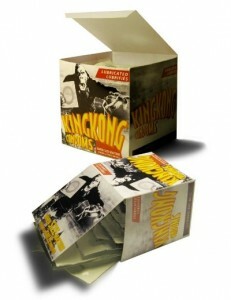 When Peter Jackson’s King Kong was released in 2005, one company tried to sell a supersized “King Kongdom”, with the tag line “the eight inch wonder of the world”. Muammar Gaddafi bought out the entire production run and closed the factory. Just ask Christiane Ammanpour. On the off chance a fateful meeting of obsessed otaku-tachi or carnal cosplayers turns into something romantic, whip out your Gundam condoms! Available in 4 different package designs, each featuring a different “condomonster”. 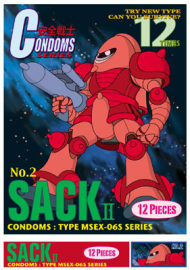 Gundam condoms (try saying that six times quickly) show that when nerds eventually do it, they do it in style! Does this sound like Charlie Sheen? You got it ! Now you know where My Violent Torpedo of Truth/Defeat is Not an Option Tour came from. This entry was posted on April 15, 2011 at 3:31 pm. You can follow any responses to this entry through the RSS 2.0 feed. Both comments and pings are currently closed.